October’s filled with exciting fall activities, but one of our favorite ways to spend this month is by celebrating National Sausage Month. Although it’s fun to enjoy sausages all throughout the year, there’s something special about sinking your teeth into one of these meaty delicacies during a month dedicated to all things sausages. If you’re curious about ways to celebrate, we’ve got you covered. Sit back, relax, and get ready to find out exactly why National Sausage Month is so amazing, ideas for how to celebrate, and even some interesting fun facts. San Francisco Giants fans rank among the top sausage eaters in baseball. Their favorites? Brats, kielbasas, hot links, and hot dogs (naturally). Upton Sinclair wrote "The Jungle"
The book pointed out questionable methods being used for sausage making. This led to further regulation. The Ancient Chinese documented making lamb and goat sausages. Homer wrote about his characters eating an early variation of sausages in "The Odyssey." There are a ton of delicious ways to cook up sausage dishes. During October, make it a point to try out a new way to prepare these tasty, meaty treats. Who knows — you might stumble upon a new recipe staple. Sure, sausages are great by themselves, but when paired with beer, sausages are taken to a completely new level. Gather up a few different sausage and beer varieties and then invite some friends over. A tasting is a great way to sample all that the sausage and beer worlds have to offer. Don't just take sausages for granted. Find out how they're made by visiting a factory or local butcher shop. If you get really lucky, you might even find some sausage-making classes in which to participate. A mile-long sausage? Try again. The length of the longest sausage ever recorded? Nearly 37 miles. Around 500 BC, Greek philosopher Epicharmus wrote a comedy called "The Sausage." National Sausage Pizza Day is on October 11th. The modern English word for sausage is derived from the Latin word "salsus" — meaning salted. Whether you're a football fan or not, participating in a tailgate is almost always a fun event. Do you know what takes a tailgate from good to great? Sausages. Just throw some on the grill — and in a few minutes you'll be serving some some delicious handheld snacks. Regardless of your personal tastes and preferences, there's a good chance that you'll find a sausage variety that will make your tastebuds happy. Traditional pork sausages are a fan favorite, but there are also some excellent chicken varieties out there as well. Vegetarians and vegans can even rejoice; many grocery stores carry soy sausages too. 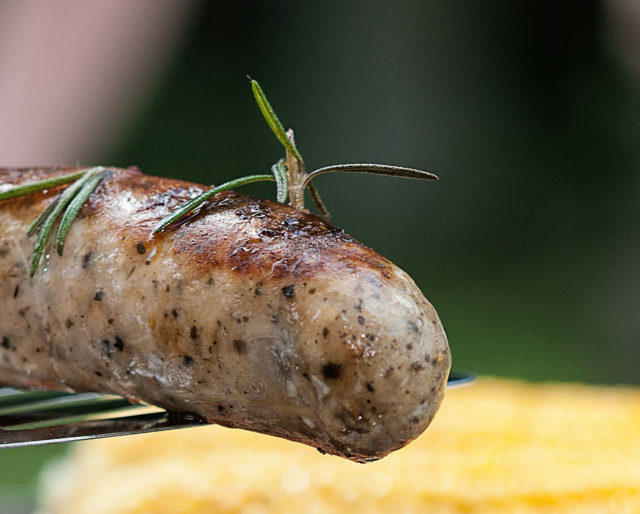 If you're planning an event with quite a hefty guest list, sausages are an affordable and tasty way to feed a crowd. Load up a frying pan or grill with some tasty sausages — and you're well on your way to feeding a bunch of people with only minimal effort.